PAINT STRAINER BAG, China PAINT STRAINER BAG, Quality PAINT STRAINER BAG manufacture by COX Filter Cloth. Paint Strainer Bag COX Filter Cloth offer Nylon Micron Filter Bag, PA Water Filter Bags, Aquarium Nylon Filter Bag, Liquid PA Filter Bags. COX Filter Cloth Nylon Strainer Bag builds with elastic band or string belt opening for easily fitting into 5, 2, & 1 Gallon Paint Buckets. These Strainers made with quality nylon mesh filter fabric just enough to screen out the paint powder particles in order to reduce clog in paint sprayers. As well as to paint or spray evenly. Paint Strainer Bags 5 Packs or according requirement. OEM brand, packing style are welcomed. Nylon Paint Strainer bags and cones are perfect for straining all types of paint, stains and liquids. They remove dried flakes, lumps, filaments and other dust particles from paint. 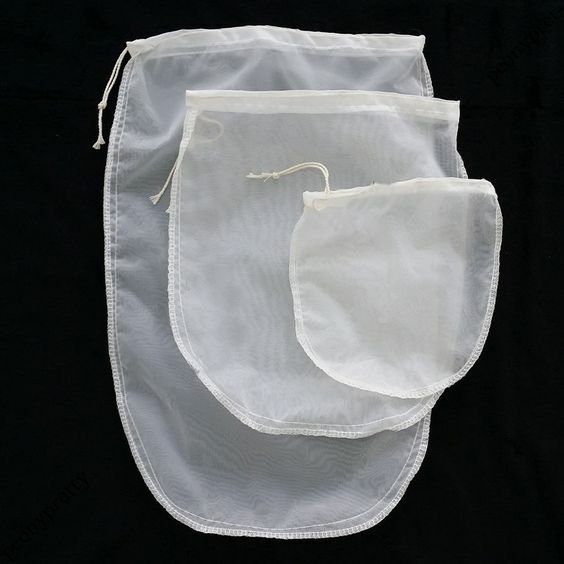 Bag strainers have double stitched edges and are made of polyester. 3.it contains polyester paint strainer bags and nylon paint strainer bags. 3. 1 gallon, 2 gallons and 5 gallons, are designed to filter unwanted particles from your product.